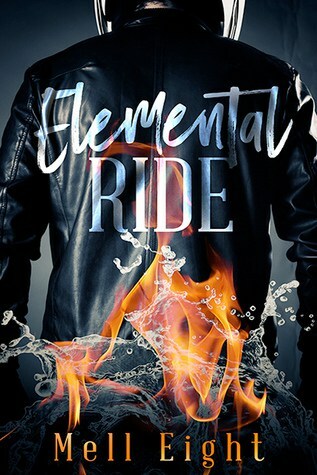 In Elemental Ride by Mell Eight, motorcycle gang members and elemental sprites join forces in a short but enjoyable read featuring secrets, magic and just a hint of romance. I received one copy of this book at no charge in exchange for my honest reviews but all opinions expressed here are my own. This post contains affiliate links. Okay, to summarize Elemental Ride by Mell Eight very briefly, you have two main characters. Rawley is the motorcycle mechanic for a biker gang. He seems like a decent guy even if he is a bit rough around the edges. He lives in a world where sprites (tiny mystical beings) live symbiotically with humans and provide them with certain magical powers. He gets a new mailman. This is interesting because the area he lives in is so bad, mailmen won’t come deliver there at all. He is fascinated with Reign from the very beginning and is even more intrigued when he realizes that his new mailman is actually 4 personalities tucked into one gorgeous package. In addition to the romantic interest, you have a motorcycle gang nervous because the city mayor promises to clean up the area. That doesn’t really bode well for the gang at all and they are looking for new accommodations so that they can all manage to stay together. To add a magical twist, you have the intrigue of the sprite/human relationship. 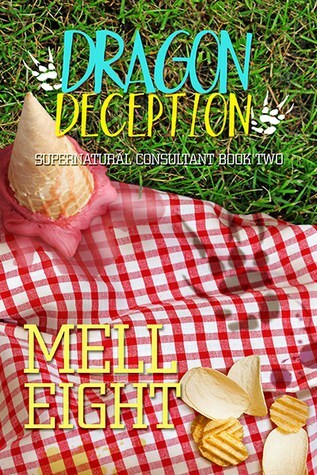 The paranormal aspect of the story was unique and captured my attention quickly. So, the hugest problem with this story and why I gave it such a low rating is that I do not consider this a whole book. Honestly, it felt like the first 5 chapters of a full-length novel. You do not get enough information about any of the three main ideas to be satisfied. Rawley has barely met a few of Reign’s personalities and there is zero heat because basically, they just met! The motorcycle gang has just barely found a new place to live but hasn’t actually finalized anything. And while you learn a bit about the sprites, their role in this story is obviously not done at all. Honestly, Elemental Ride by Mell Eight is one giant unfinished plot. I’m sure there will be another book after this that will continue the story but that sort of thing really bugs me. I really wanted a book that had a beginning, middle, and END. So, while I enjoyed Elemental Ride by Mell Eight, I don’t think I will be reading any more of this author’s short stories. I don’t really like having to wait months for the ending of a book that barely felt like it got started.